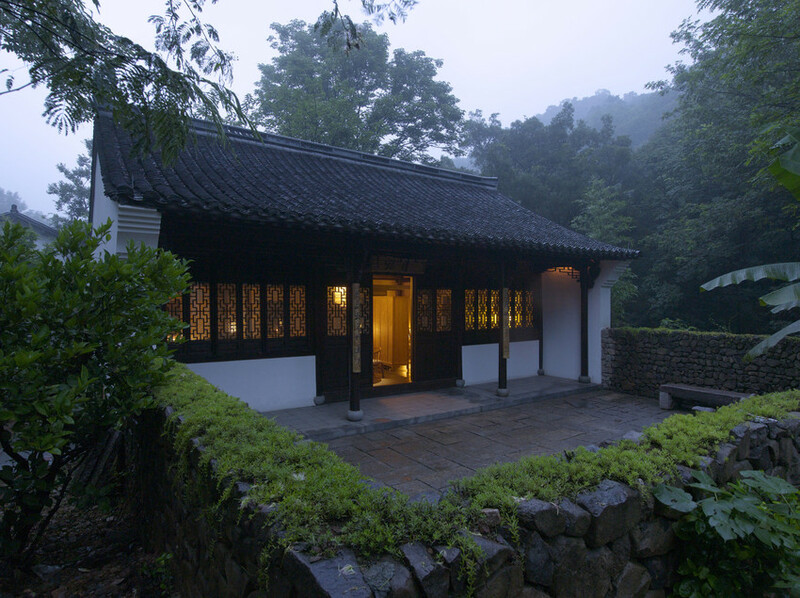 Exclusive hotel group, Aman, have got their hands on a traditional Chinese village near Hangzhou and turned it into a five star resort – definitely in a good way. Each of the village buildings has been cleverly transformed into the usual high end hotel staples – a reception area, library, guest bedrooms, several restaurants and a spa – but the result is remarkably unhotel like. 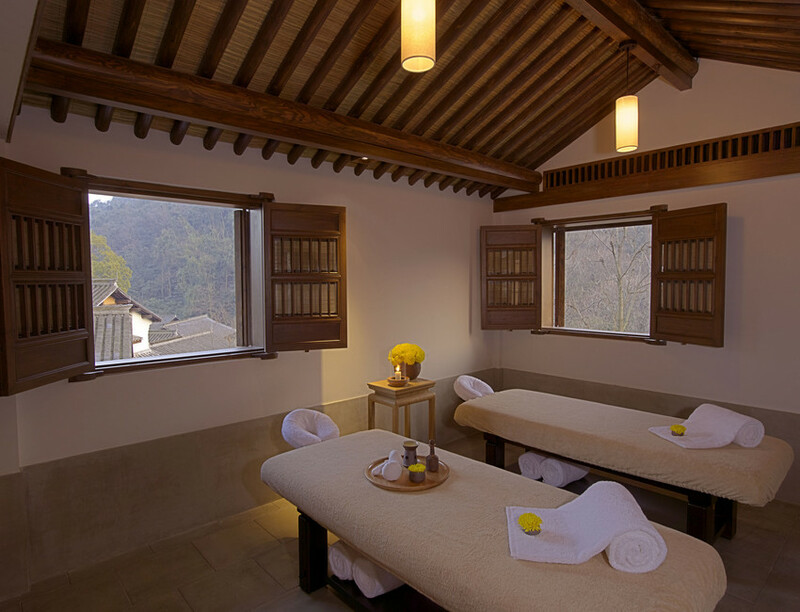 It all blends in perfectly with the bucolic surroundings of tea bushes, woodland and bamboo groves. So is it historical or contemporary? Both. The original dark wood, shuttered-windowed houses and stone streets have all been retained but the interiors are modern. In deference to the historic exteriors, all the furnishings are simple and neutral. Traditional materials and techniques such as elm wood, latticework and rice paper have been used throughout. A few new buildings have been added but you’d be hard pressed to guess which they are. Each one is different. They range from terraced “village rooms” up to two storey villas with their own courtyards. The most exclusive come with their own massage treatment rooms. Ladies, leave your Louboutins at home. The heels won’t be able to take the cobbled streets that lead around the property and besides, Amanfayun is all about stealth wealth. Cashmere layers and Tod’s moccasins were created to be worn here. If you’re wardrobe is lacking in luxurious yet understated casual separates then check out the Aman boutique on the main thoroughfare, next to the spa. Like the rest of the resort, it’s been impressively designed to fit in with the original décor and the rambling countryside. Housed over several buildings, there’s a reflexology room above the reception area and a number of treatment rooms scattered around a gentle hillside. 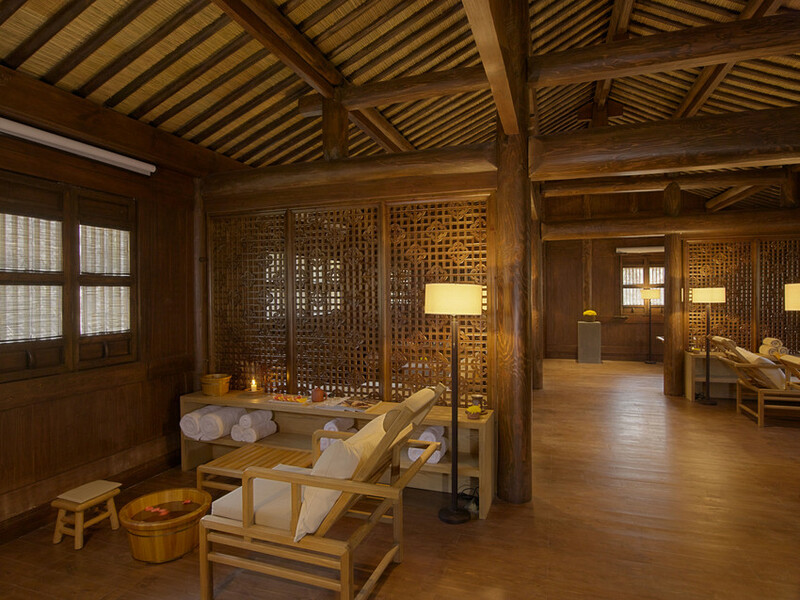 Treatments are tailored to the four seasons and utilize local herbs and plants. In winter that’s wild ginger for its yang warming qualities. 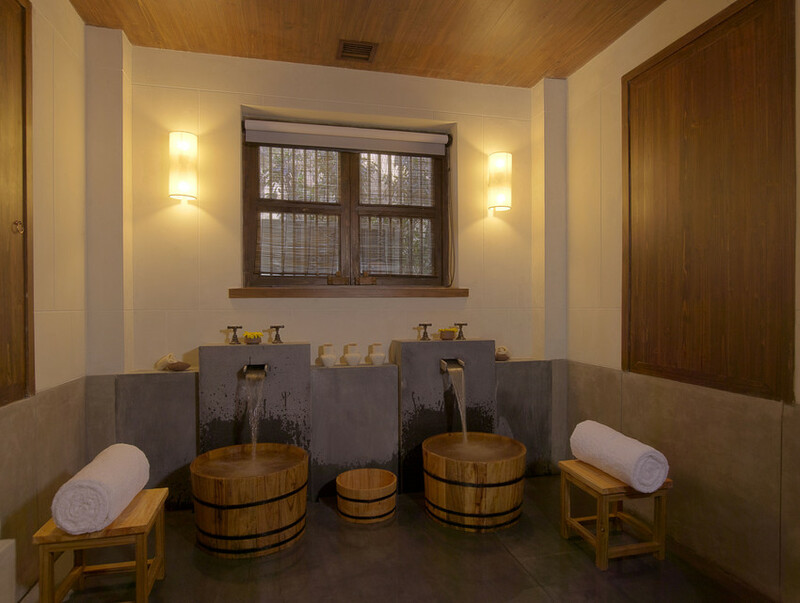 Even if you don’t book in for a treatment don’t miss the (complimentary) Bath House – a private and serene space with rain shower, steam room and large wooden tub for one or two. What if I’m feeling a bit more active? Not a problem. There are also yoga and pilates studios plus a decent sized gym – all incongruously but effectively housed in traditional village buildings. 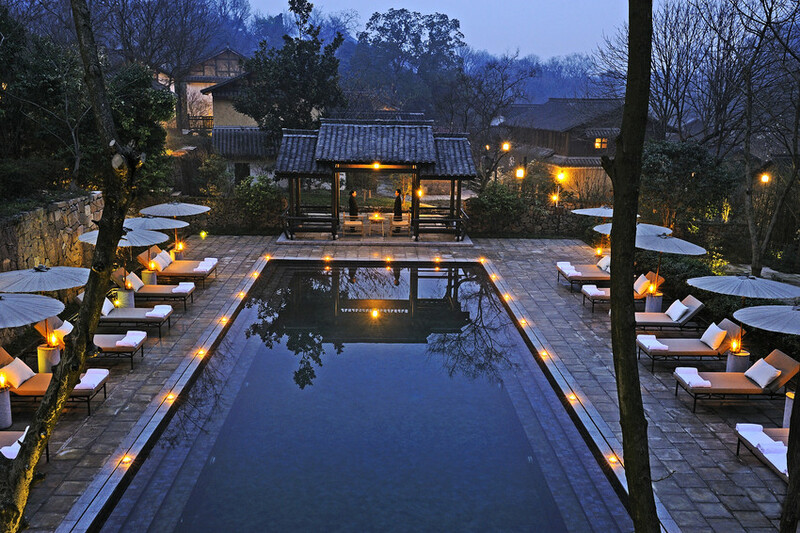 A good size swimming pool is set in a walled garden surrounded by trees and Chinese umbrellas. And after I’ve worked up an appetite? There are several options including a fancy French restaurant and a vegetarian kitchen run by Buddhist monks. 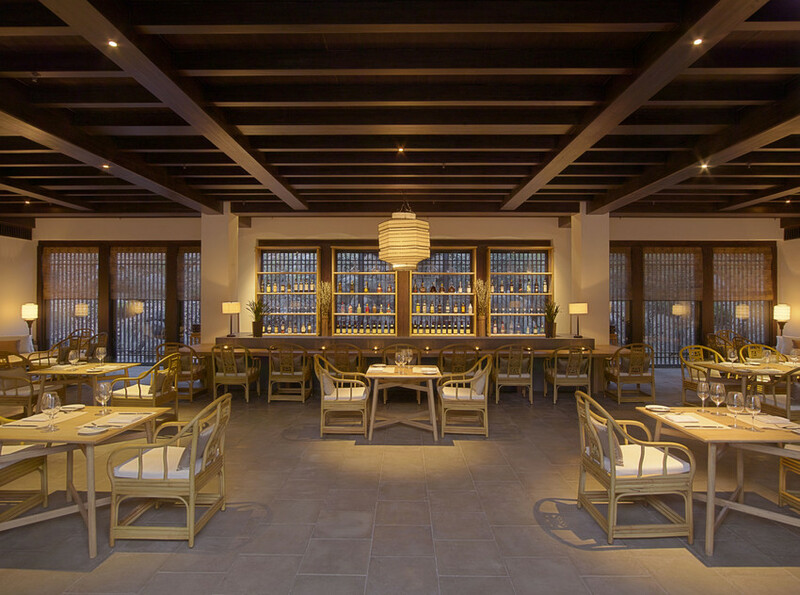 For local cuisine try Hangzhou House for specialities like West Lake shrimp cooked with Longjing green tea (the local brew) and Dongpo pork, braised meat served with bamboo shoots which are also grown locally. It’s part of the main restaurant and on the quiet side when we visited but has an impressive cocktail list making good use of local plants and flowers. 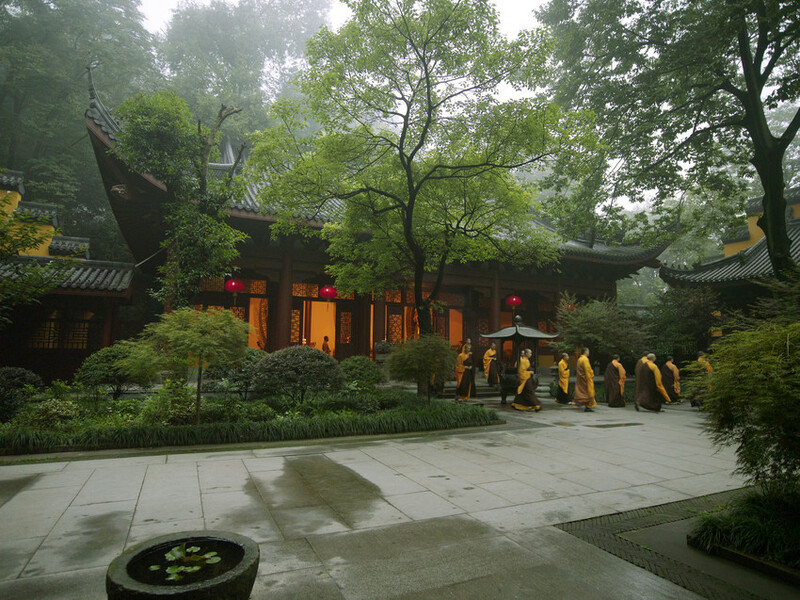 There are seven temples and monasteries within walking distance. Lingyin, the third biggest tourist attraction in China, is literally next door so no excuses for a 8am visit before the coach parties arrive. The romantic West Lake is only a 15 minute drive away. After the tranquillity of Amanfayun the hordes can come as quite a shock so book the hotel’s the sunrise trip which includes a boat trip and breakfast picnic. 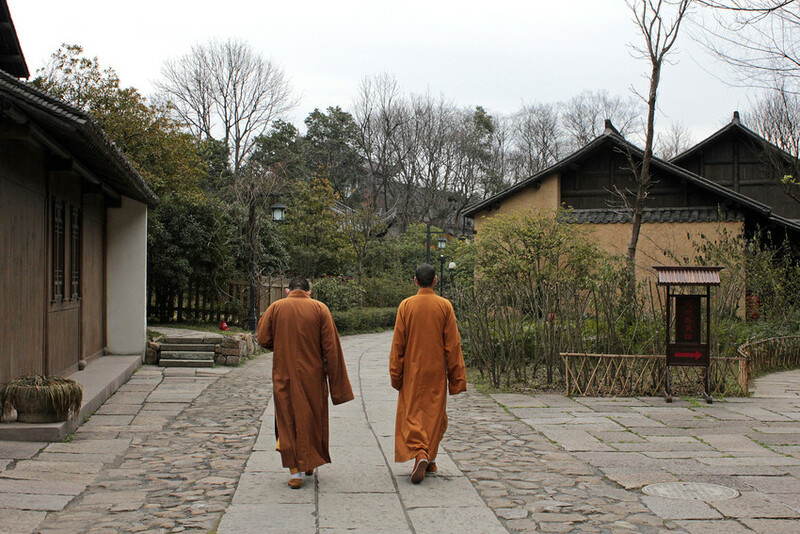 Visitors (and Buddhist monks) are free to roam around Amanfayun except Fayun Place which is for hotel guests only. This ornate wooden building, the fanciest in the village, has a library upstairs and a tea house on the ground flour – make sure you ask for the traditional tea ceremony. 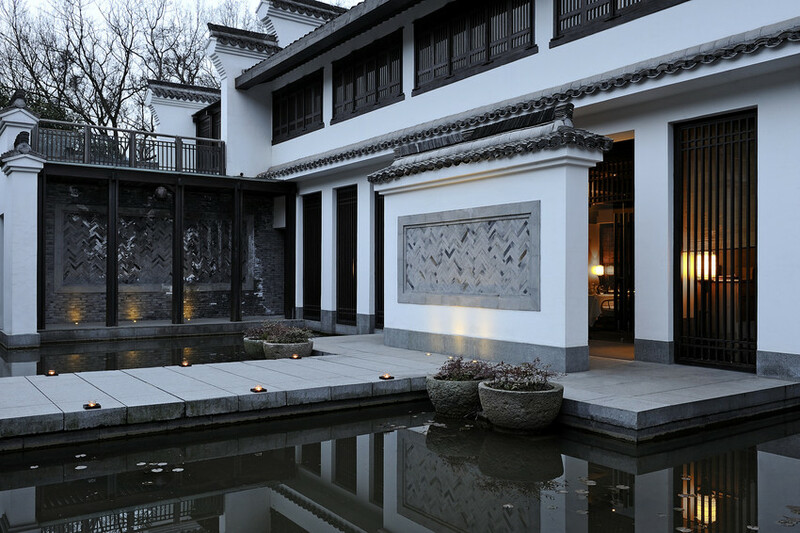 UPDATE: Aman is launching Private Jet Journeys in March 2016 to take guests between its resorts in China.